From today until Sunday Cardiff will be filled with a flurry of green-fingered enthusiasts, as the RHS Flower Show Cardiff kicks off the Society’s annual show season. Sue Biggs, Director General of the RHS, joined us this morning to discuss how a business-like approach is often necessary when running a national charity. The Royal Horticultural Society is the UK’s leading gardening society, and has been promoting excellence in horticulture since 1804. As a show of hands this morning demonstrated, very few people are actually aware that the RHS is a charity, yet the Society funds everything from maintaining its 4 stunning gardens, to botanic art and literature collections, community education schemes and horticultural research. This work is achieved without any Government funding; it is the funds generated through the Society’s commercial side that enable its charitable side to continue. Sue joined the RHS in 2010, after nearly 30 years in the tourism and leisure sector. An RHS member for 18 years, Sue had never worked for a charity nor trained in horticulture. It was the lessons and approach learned from her experience and success in the business world that have helped the RHS reach a record membership of over 400,000. The Society was previously very internally-focused, with little emphasis placed on commercial activity and a lack of communication with potential partners in the business world. While the charity is dedicated to its charitable aims, they are impossible to achieve without the funding brought in through its shows, publications, products, partnerships and attractions. To this end, one of the 10 key targets Sue outlined was for the RHS to have ‘efficient business practices, that deliver maximum income for our charitable purposes’. The RHS Flower Show Cardiff kicks off today. Sue has implemented dramatic changes to the Society’s culture, achieved through ‘leading by example’ and working from ‘individual up, not top down’. The organisation’s operations have been restructured, moving away from divisions working individually towards a new and engaged strategy, with everyone understanding their role in the bigger picture. Establishing such a complex process highlights one of the key differences between the charity and business worlds: timing. The direction and implementation of decisions in the charity world is, Sue said, ‘more a country road than a motorway’; it takes a lot of time, with many different groups to influence in order to progress. Sue has big plans for the RHS’s future, with a wide range of projects planned. This will be partly funded through the sale of the lease on Lawrence Hall last year to Westminster School, which generated £18million, and partly through a £9million fundraising drive. The extensive botanical art collection and library at Lindley Hall will be opened to the public for the first time, more PhD studentships will be introduced, and a 3.5acre Urban Garden will be created in a major UK city centre, ‘somewhere you would never expect’. There are also regional plans being piloted in Scotland and Yorkshire; while an RHS garden in every region would be unfeasible, an RHS centre could provide exciting opportunities to link with local businesses across the country. There are a wide range of ways the RHS and businesses could work together, through CSR projects, sponsorship and support. While the business and charity sectors are often perceived to be dramatically different, there are unexpected similarities – and, as Sue has found, much that each can teach the other. By enabling the commercial and charity sides to sit together, Sue is confident that the RHS will be leading the way in horticulture for another 200 years. The RHS Show Cardiff 2013 is the Society’s first major show of 2013, and regularly attracts over 20,000 visitors from across the UK. It will be held in Bute Park between the 19th and 21st of April. For more information, please visit www.Rhs.org.uk/cardiff. 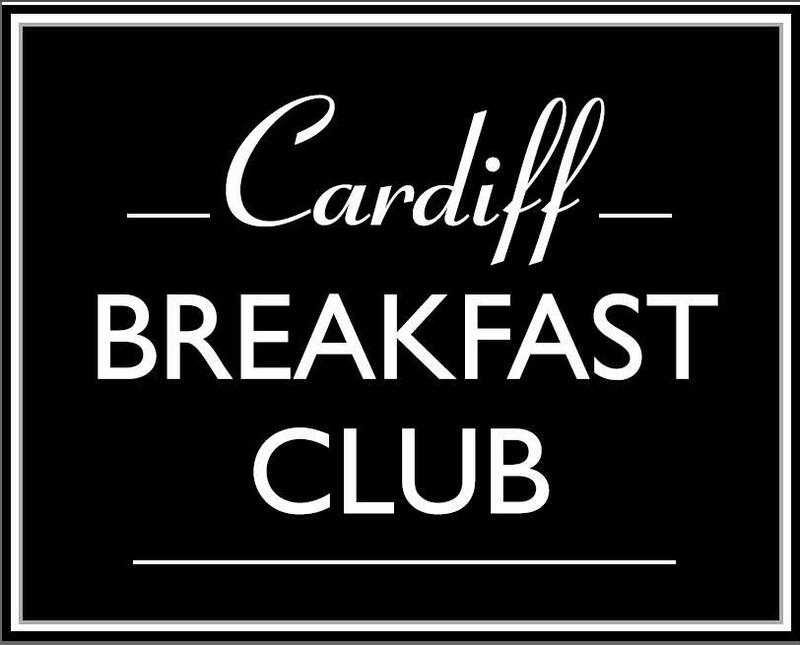 The next Cardiff Breakfast Club meeting will be held on the 24th of May with guest speaker Paul Fisher, Bank of England. For information or to book, please contact Sally Taylor on 02920 549597 or at sally@petersenspr.com.